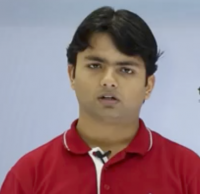 Anadi Sharma is an MCA from Chhatrapati Shahu Ji Maharaj University, Kanpur. He holds international certifications like MCSD and OCA. Anadi has more than 8 years of experience in IT and Corporate training. He has delivered corporate training for clients such as TCS, Yamaha, IBM, where he taught .NET, Sql Server, and Oracle related technologies.